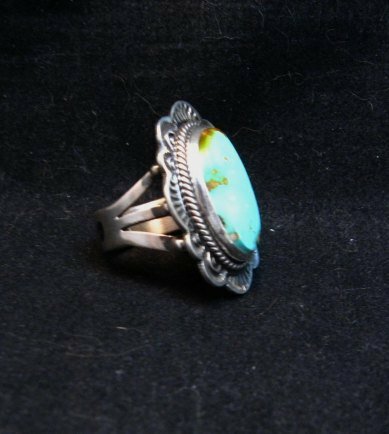 Native American Navajo turquoise silver ring, handmade by Navajo silversmith Happy Piasso. 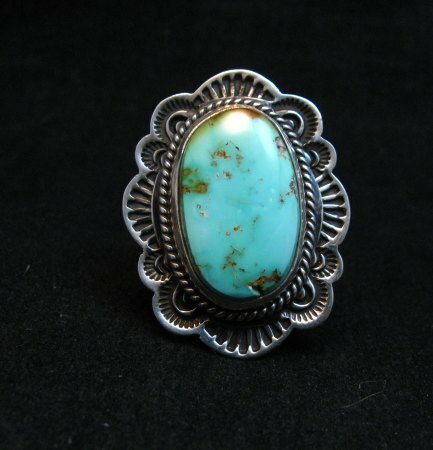 The natural Royston turquoise stone is a pale turquoise color with subtle matrix and it is set in a beautiful stamped sterling silver setting. 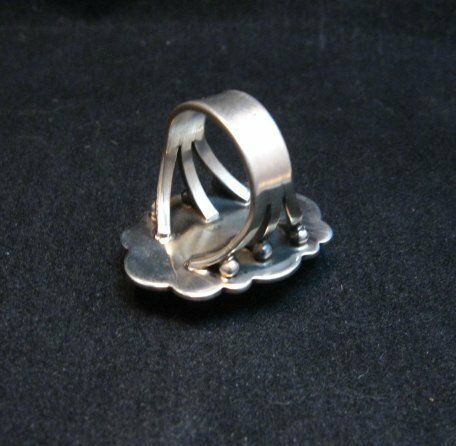 The face of the ring measure 1-1/4 inch long by 1 inch wide. The ring weighs 13.6 grams. Three-way split shank. Brand new and in perfect condition. Hallmarked H. Piasso. Gift box and Certificate of Authenticity included with your purchase. Size 7-1/4.